Marataba Safari Lodge is set in a 23,000 hectare malaria free private wildlife concession in Limpopo’s Marakele National Park. 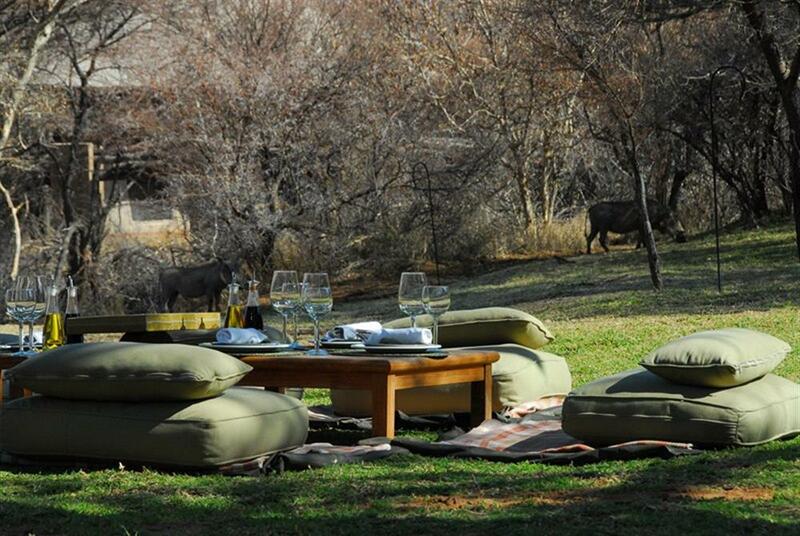 Accommodation consists of 15 luxury suites each with their own private deck overlooking the plains and river below. Each suite has an en suite stone bathroom with both shower and bath, as well as his and hers basins and dressing room. Other facilities include an outside shower, ceiling fan, air conditioning and in-house communication. Marakele is home to the big 5 and most of the large mammals synonymous with the African bush, including elephant, black and white rhino, buffalo, lion, leopard and cheetah. Large predators such as lion, cheetah, brown hyena and leopard occur in the park, while resident antelope include sable, kudu, eland, impala, waterbuck, tsessebe, hartebeest, wildebeest and many smaller species. Guests at Marataba can enjoy game drives taken with an experienced guide in the late afternoons and early mornings.